We also offer emergency dentistry for those in need of urgent attention and will aim to see you as immediately as possible. Our modern and spacious practice is located in the heart of Oakleigh, on the corner of Burlington Street and Hanover Street. 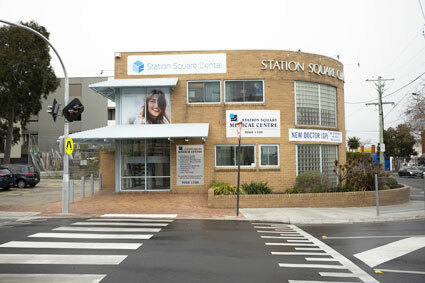 You’ll find us near the Coles Supermarket and just a 5-minute stroll from the local train station. We’re also conveniently close to other forms of public transport, including bus stops in surrounding streets, such as Hanover, Burlington, and Portman Street. For those wishing to grab a bite to eat before or after their appointment, we’re also a short distance from the major restaurant and café district of Portman Street, Chester Street and Atherton Road in Oakleigh. We welcome payment in the form of cash, credit card or EFTPOS, and also offer interest-free payments available with ZipMoney. Additionally, we have a HICAPS machine to process your health fund claims on-the-spot and participate in both the Child Dental Benefits Schedule (for eligible children aged 2-17) and the Veterans Affairs Dental Scheme.